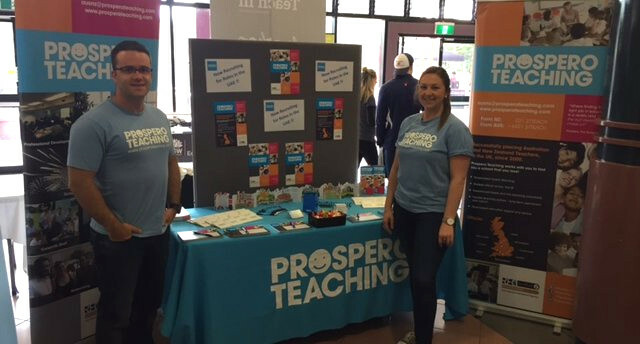 Once again Prospero Teaching has been busy attending a number of University Teaching Fairs across Australia. From Perth to Sydney, Newcastle to Brisbane, Adelaide to Wollongong and a few places in-between, Prospero has talked to hundreds of graduate teachers thinking about teaching overseas. Group 1: ‘Keen as Mustard’ — those teachers who can’t wait to travel and undertake their teaching OE. They’re raring to go, they’ve got concrete plans, and just need a guiding hand. Group 2: ‘Would like to, but I’m unsure’ — those teachers requiring more information. They have the desire, they know they’d enjoy the experience, but they are looking for some expert advice to help them take their next step. Group 3: ‘Plan B Group’ — those teachers who ultimately would like to teach in Australia first, before then possibly looking at overseas options. They’re aware of the benefits of an OE teaching year, and generally want to improve their CV with hands-on teaching experience. Their goal is to secure a position in Australia, but they’re aware of the many routes they could take. Group 4: ‘Mystery Group’ – Read on to find out! Below, I have outlined a few of the key questions posed by each group and some of the initial responses we give. Can I get a job straight after graduating? Yes you can! Many UK schools are quite open to employing newly qualified teachers from Australia. Prospero Teaching also offers a select number of Guaranteed Paid Relief Teaching contracts (guaranteeing candidates 5 relief booking per week of term). These contracts are often quite suited to graduate teachers wanting to gain immediate experience. Do you guys help with flights and accommodation? Yes! Prospero Teaching offer a flight-reimbursement for teachers travelling from Australia (and NZ) to the UK – conditions apply. In terms of accommodation, we don’t physically offer to accommodate teachers, but we will do everything else possible to help our teachers find suitable, and affordable, accommodation. What do you guys charge us for helping us find work in the UK? Nothing! We don’t charge you anything for helping you find suitable work. Do you offer work outside of London as well? Yes. We have nine offices in the UK; eight of these offices are based outside of London. Our Dubai office also caters for teachers looking to teach in the UAE. Is it best for me to complete my teacher registration before going?Absolutely. If you are fortune enough to find suitable work in Australia – that will enable you to complete your teacher registration – then go for it! Having your full teacher registration, and additional classroom experience, will help you with finding a fantastic role in the UK if you decide to take an OE teaching year. What is the minimum time I have to commit to a teaching contract? This depends. Candidates who take up full-time/permanent roles in the UK would need to give their school a similar notice period to that observed in Australia. For relief teaching, there is usually only a two-week notice period. If I decide to go, who helps with applying for work visas etc.? We do! We will assist you with all of the paperwork requirements needed to undertake teaching working overseas. What support is offered outside of finding me a job? Heaps. From free CPD through to regular teaching parties we offer our candidates a comprehensive network of support. How long can I leave teaching overseas before I become ineligible? For Australian teachers who don’t have access to a UK passport, EU passport, or UK Ancestry VISA the cut off is usually 31 years old. In some instances, UK schools may look to Sponsor candidates over the age of 31. If I can’t get a job in Australia, when is it best to go to the UK? For full-time school-based roles – August (to start in September), and December (to start in January) are popular arrival times. For more causal-based roles e.g. relief teaching, schools have demand throughout the whole year – aside from the Summer school holidays. How does the pay compare to teaching in Australia? In many respects it is similar. Relief teaching would tend to pay less than in Australia, however the work is more consistent, and the costs of living in the UK are generally cheaper. For permanent/full-time roles the UK have a defined teacher pay-scale. The salaries offered are comparable to that in Australia. Why are there soooo many UK teaching agencies here? Because there is a huge teaching shortage in the UK, and because Australian teachers are highly sort after. Who would want to go to the UK? It’s cold and depressing! A lot of people! Ones who want to travel, gain valuable overseas teaching experience and step out of their comfort zone. Can I grab some sweets? Sure … are you a teacher??? No! Oh well … worth a try. Of course this is not a comprehensive list of questions asked, but it does give a flavour of the FAQs we encounter. Have you had your questions answered? If not, please feel free to drop the AUSNZ team a line at ausnz@prosperoteaching.com or alternatively, give us a call on one of our toll free numbers: (From AUS) 1800 953 222 or (From NZ) 0800 1AUSNZ.